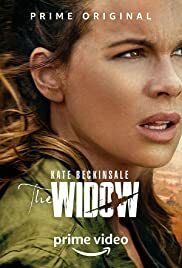 The Widow follows Georgia Wells, who has cut herself off from her previous life and is no longer the woman she once was. After seeing her "late" husband on the news, she is pulled back to face the world and will stop at nothing until she gets the truth about her past. This emotionally gut-wrenching thriller will take Georgia into the depths of the African Congo where danger and revelation will greet her at every turn.